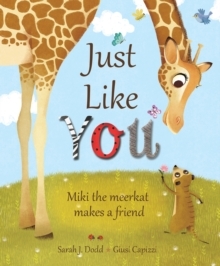 Miki is a baby meerkat who lives with his Mama in a zoo. 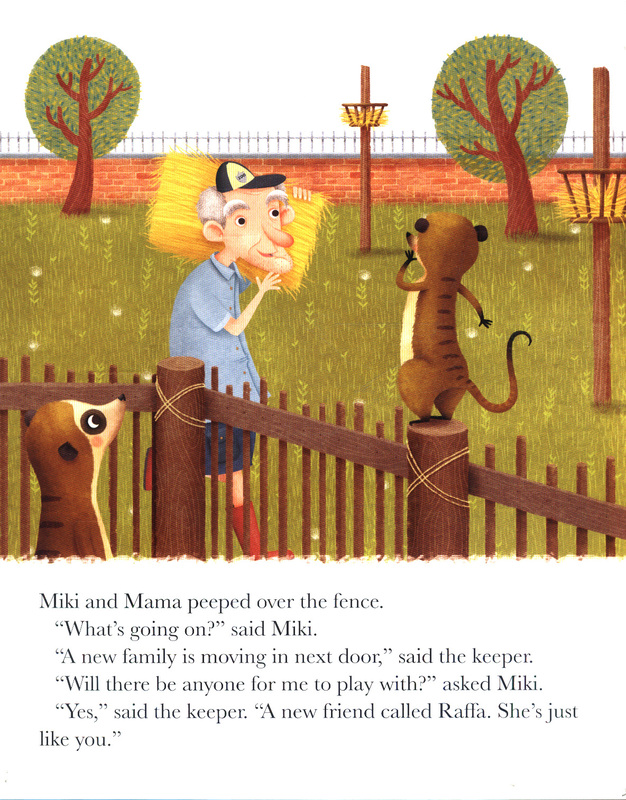 When a new family move in next door, Miki hopes for a friend to play with. 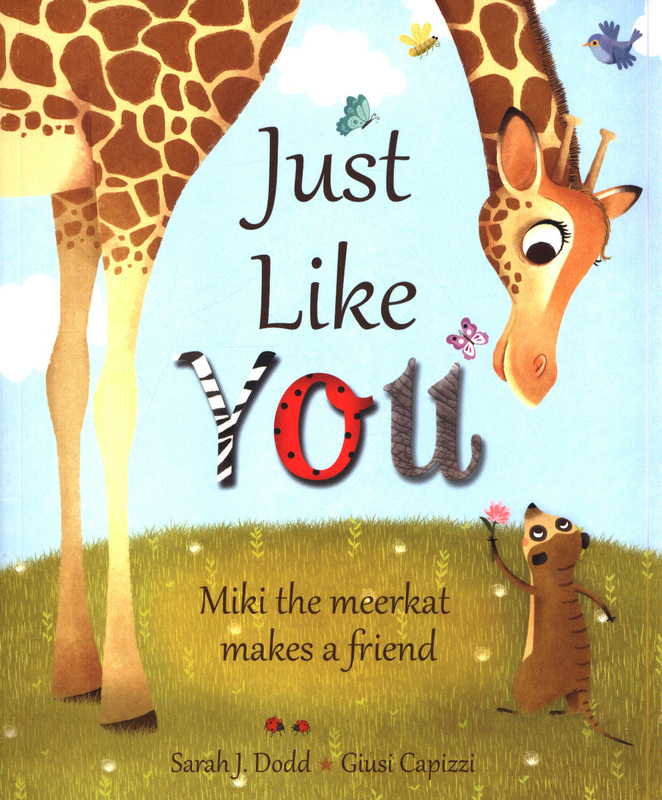 But the new arrival is different to Miki in every way. 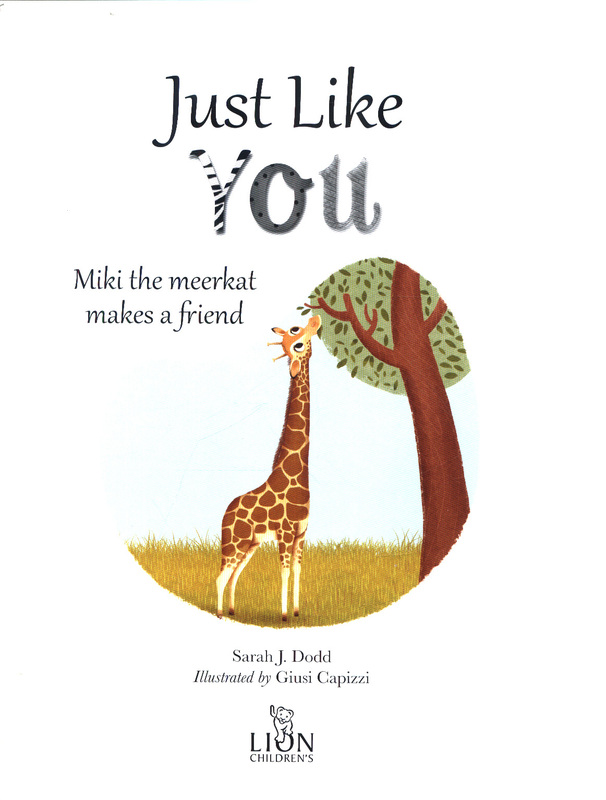 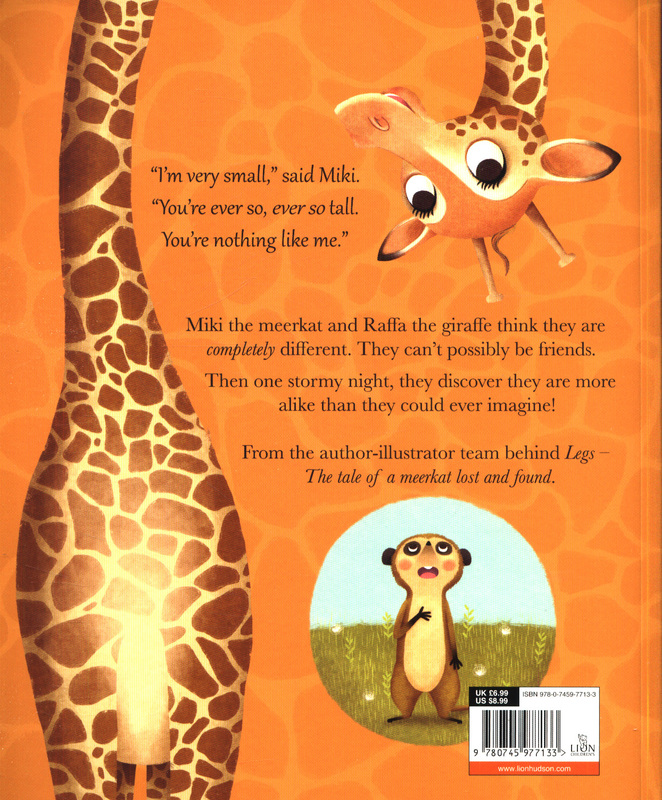 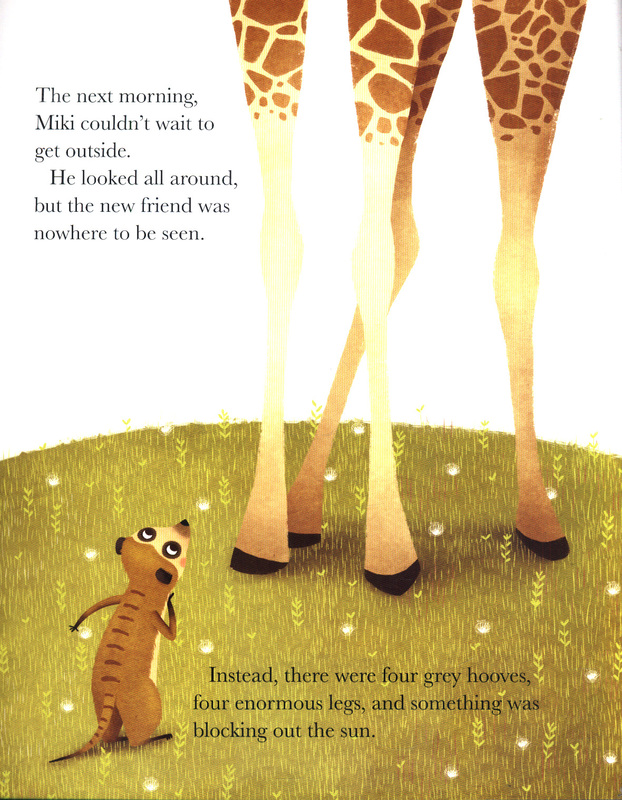 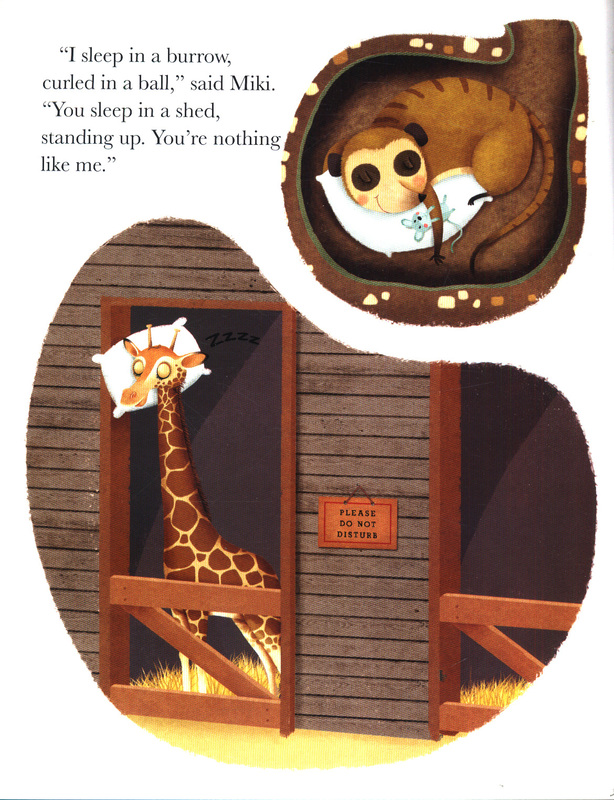 However, Miki and Raffa the giraffe soon realize that for every physical difference between them, there's a similarity and compatibility in what they both enjoy - or are scared of! 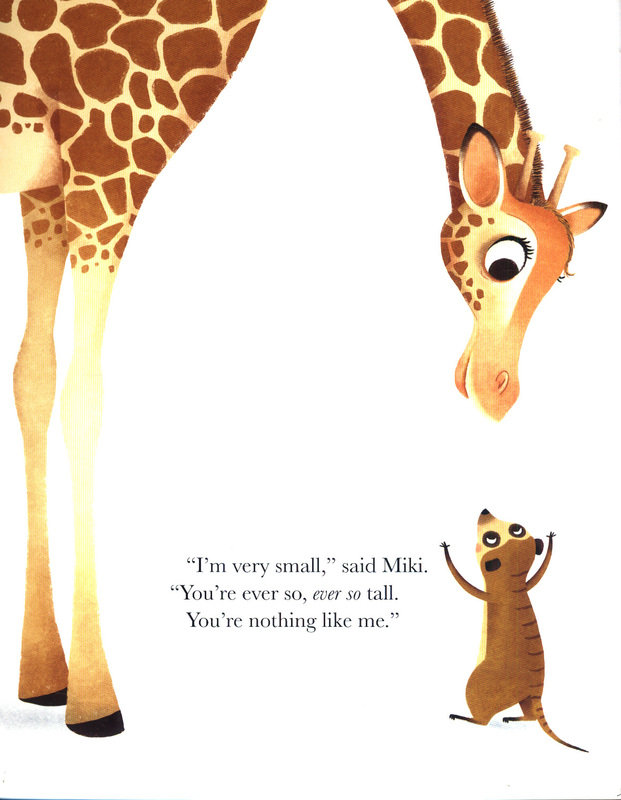 And seeing from the world from someone else's point of view might be fun after all.